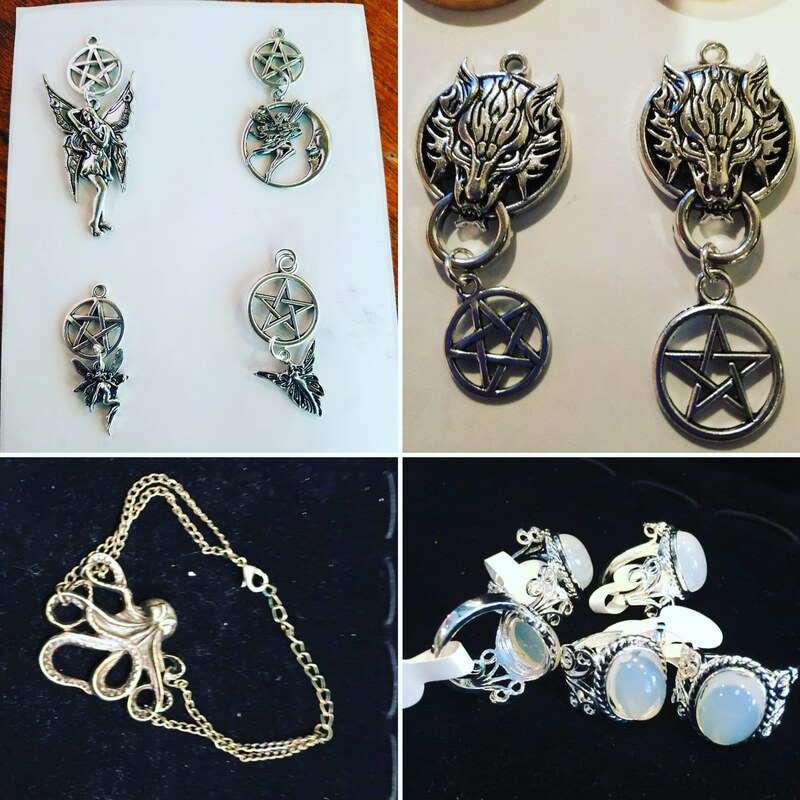 New Jewelry shipment came in at the Shop!!! 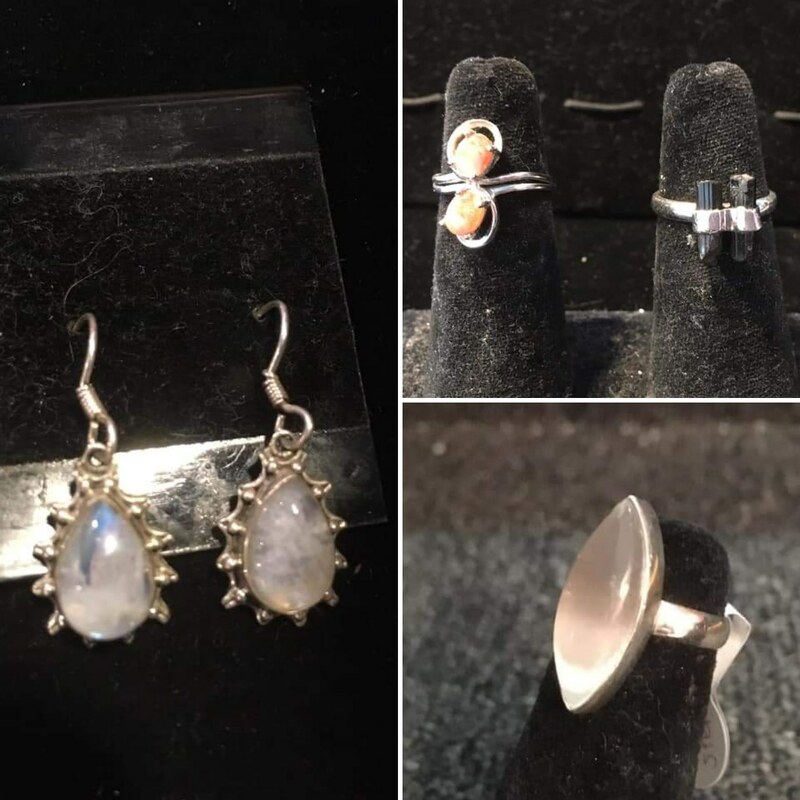 Some new #sterlingsilverjewelry , #copperjewelry came in at #desmoinesnewageshop !!!!! 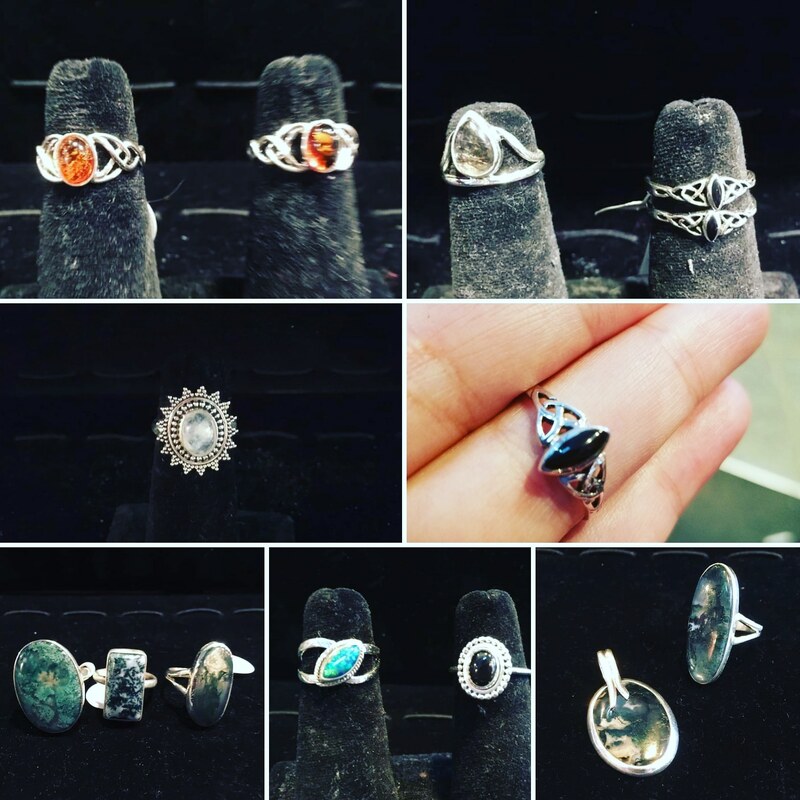 New Threadwrap at the Shop!! 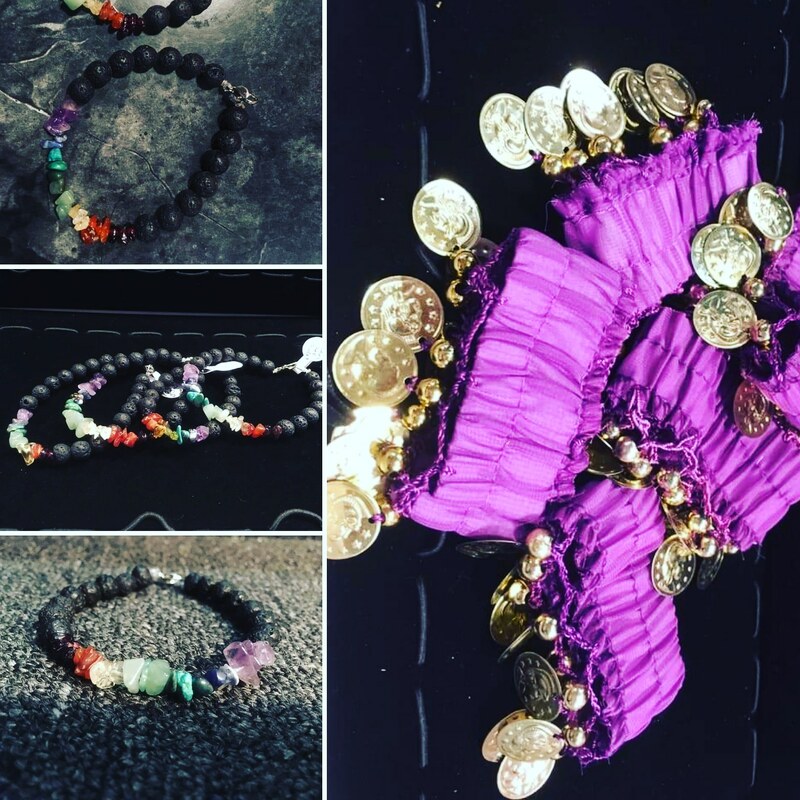 We are excited to bring Something new in at #desmoinesnewageshop , a #threadwrap interchangeable stone pouch !!!!! 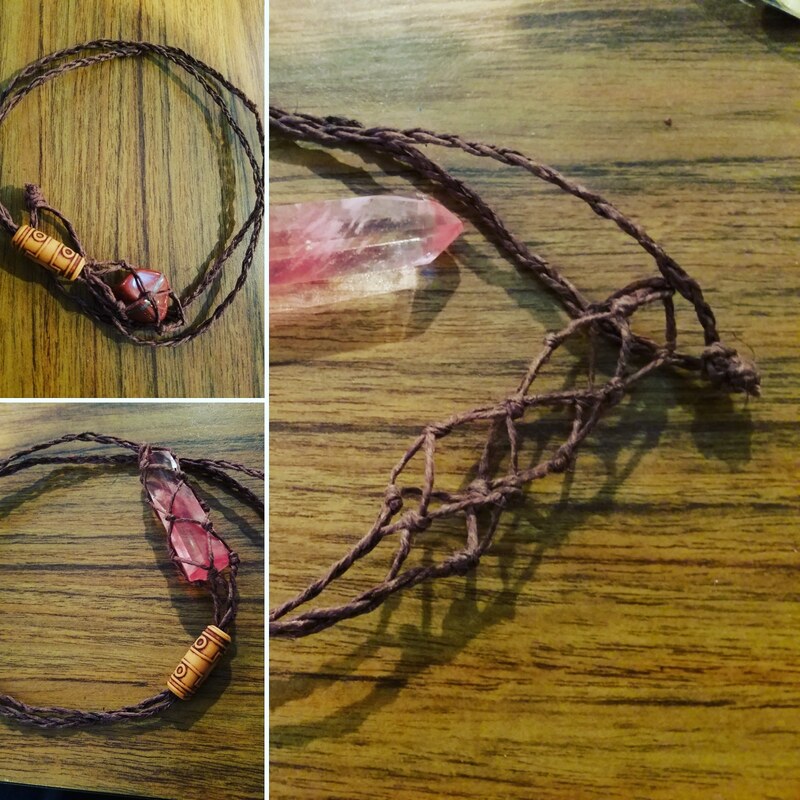 I had been curious to try this design a few years ago, Its a wonderful alternative to a stone spiral as it has no metal-it is woven either from cotton cord or hemp cord. New Jewelry came in at the Shop!! 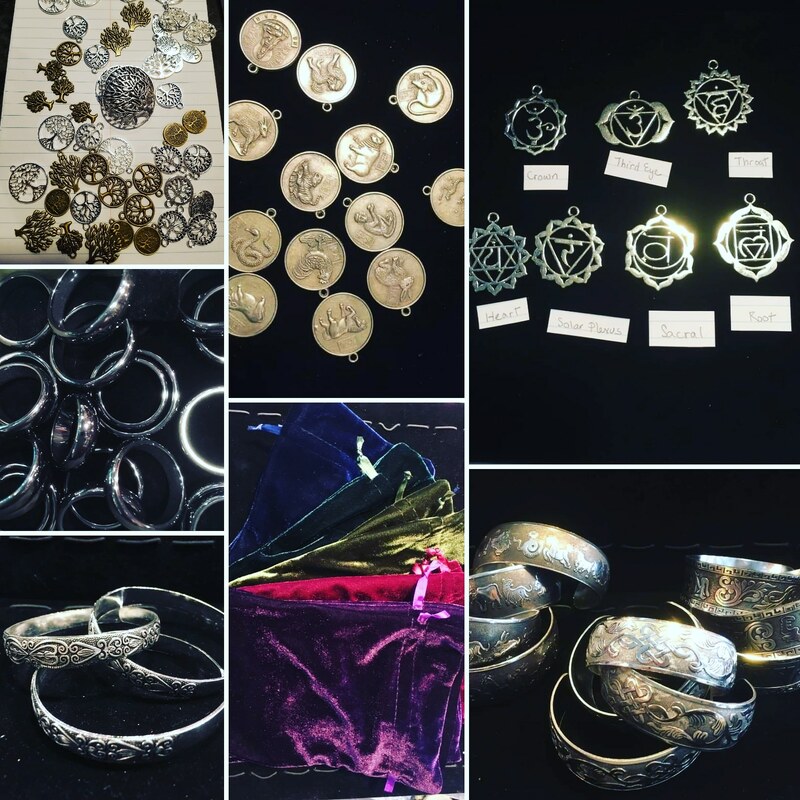 Some #sterlingsilverjewellery came in at #desmoinesnewageshop !! 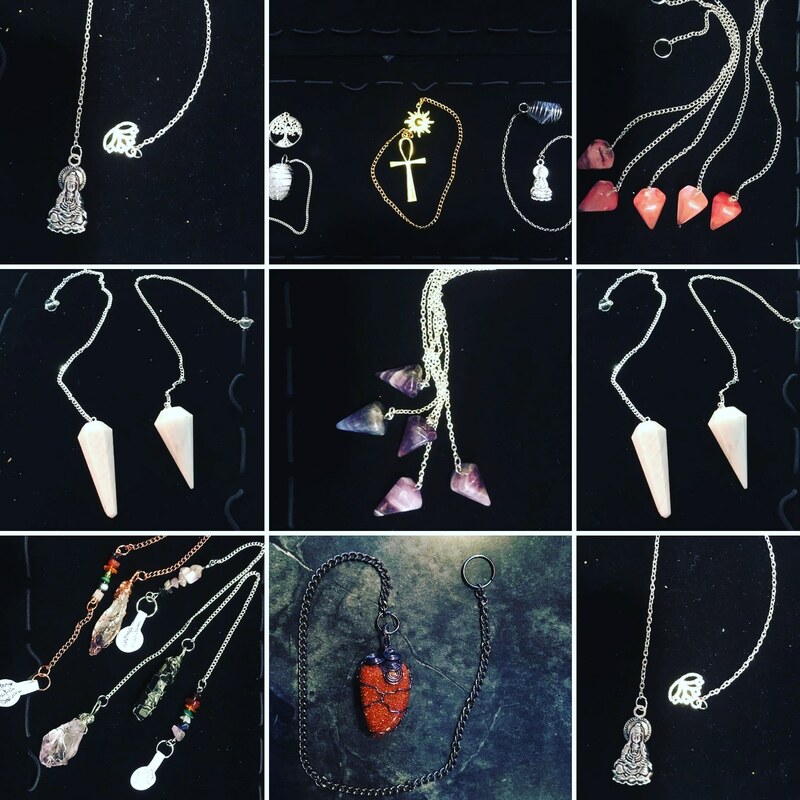 New Jewelry at the shop !!! 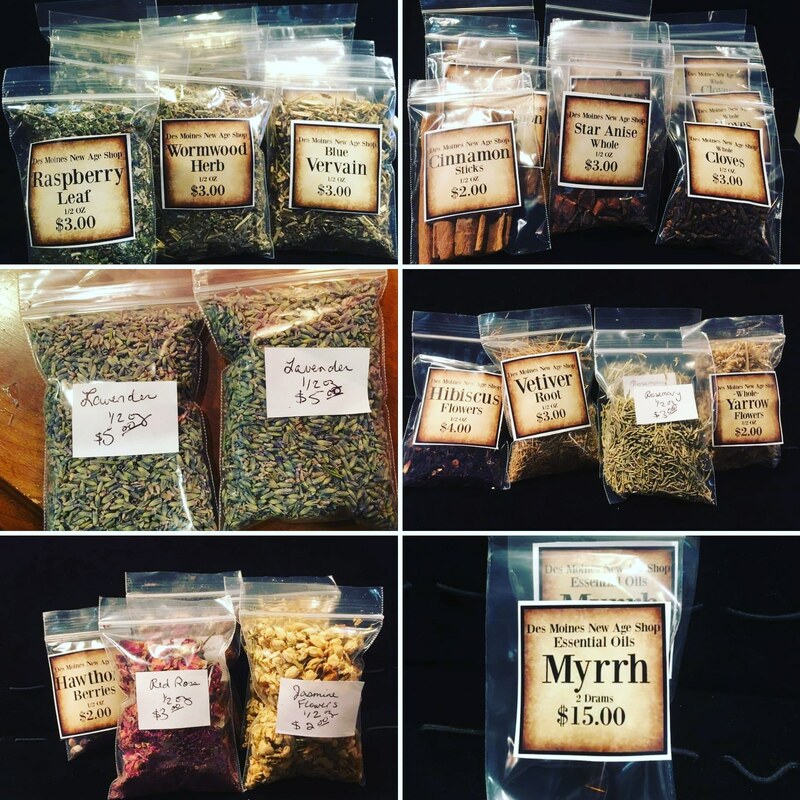 New Herbs,Oils,Jewelry came in at the Shop!!! 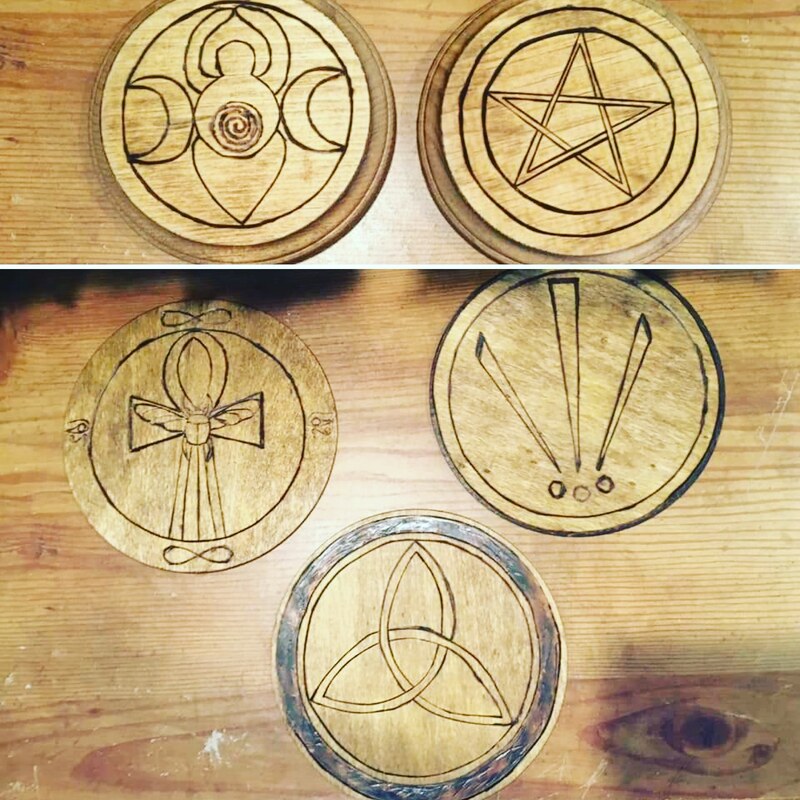 So a bunch of stuff has come into the shop lately, and I havent had a chance to post it all…..so Im catching up!!!!! 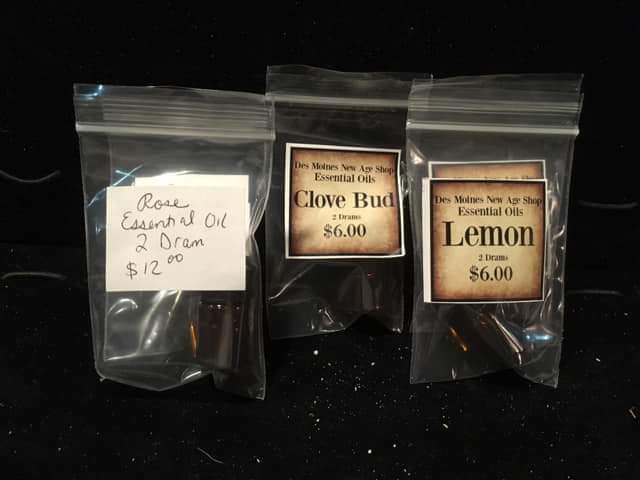 Restocked some of our #herbs ,as well as our some of our #essentialoils at #desmoinewageshop!!!!! 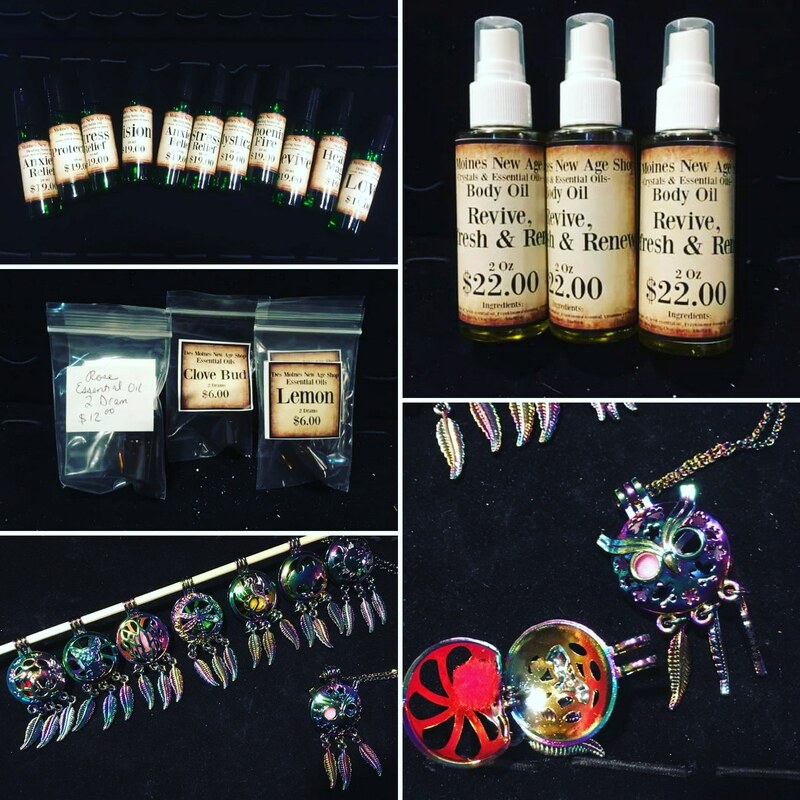 So, we have Restocked our #reviverenewrefresh Body oil, a chunk of our Healing scent oil roll on’s, more of our #essentialoils ……..and we have started bringing in #scentlockets at #desmoinesnewageshop !!!! *Scent lockets are meant to hold either a lava bead or something that absorbs and holds onto an Essential oil. These are used for people who gets headaches, have anxiety, have depression, need stress relief, to stay awake on long drives , etc They are super neat!!!!!! 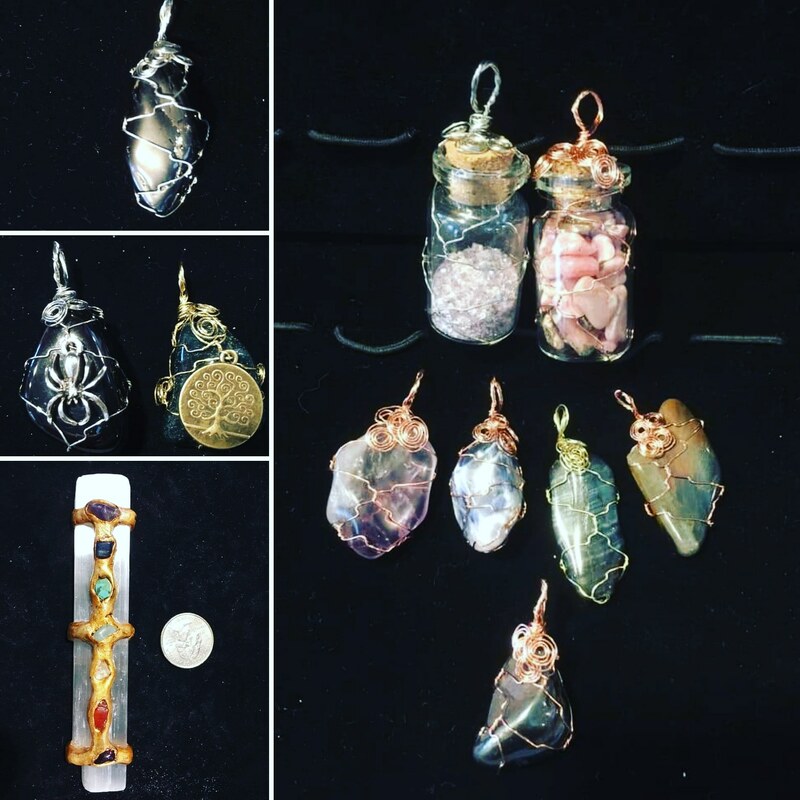 New Wire wrapped pendants, and a new Clay chakra wand at #desmoinesnewageshop !!!! 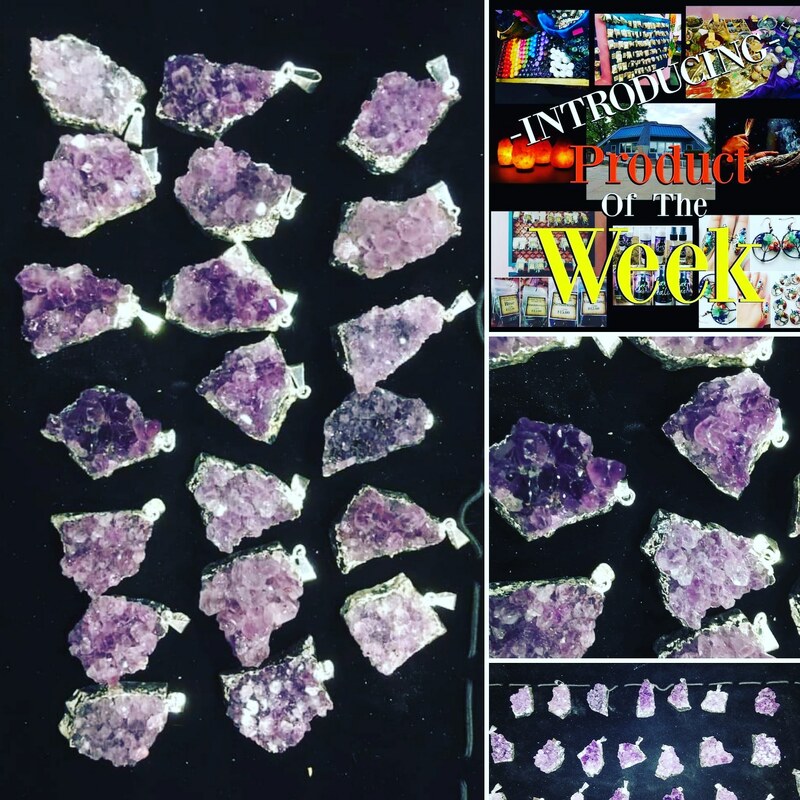 Product of the week: Amethyst cluster pendants at the Shop!!! 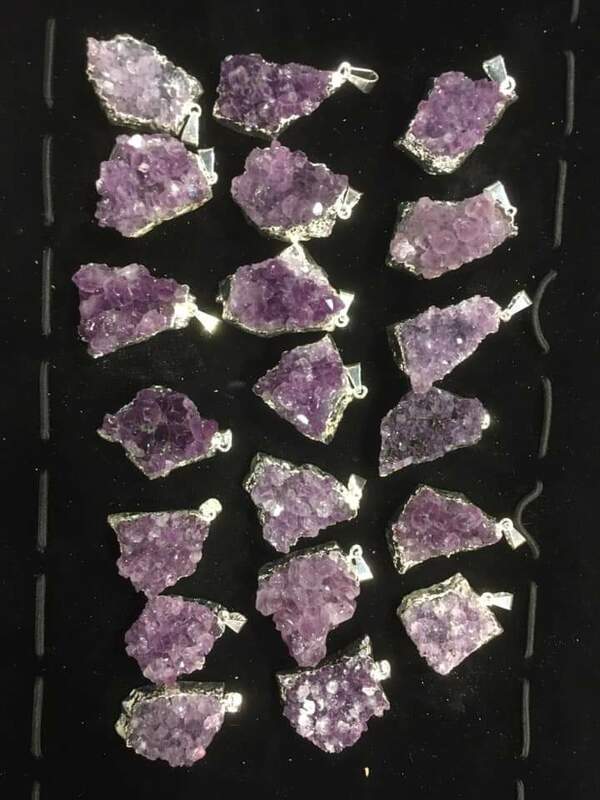 Here’s the product of the week for 11/26-12/2 Amethyst Cluster pendants! 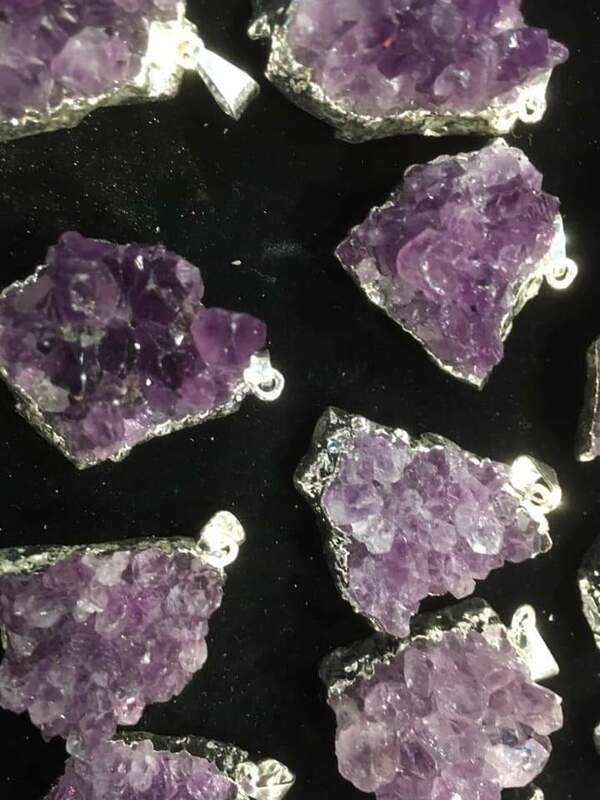 These lovely pendants are made of gorgeous amethyst clusters plated into base metal! Amethyst is good for intuition heightening and for dream recall! Its a great anti depressant, and It is also known as a stone that is good for helping break addictions. mention what the product of the week is and you will receive a 10% discount off your purchase. Please reach out via Facebook or give us a call during shop hours at 516-276-7755. 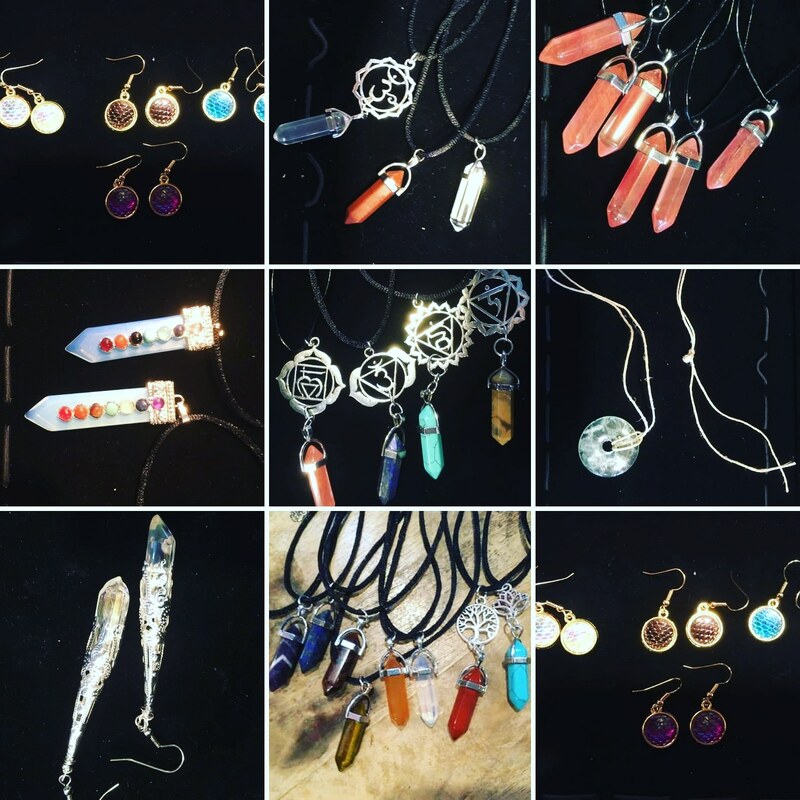 New Wire Wrapped pendants are at the Shop!!!! 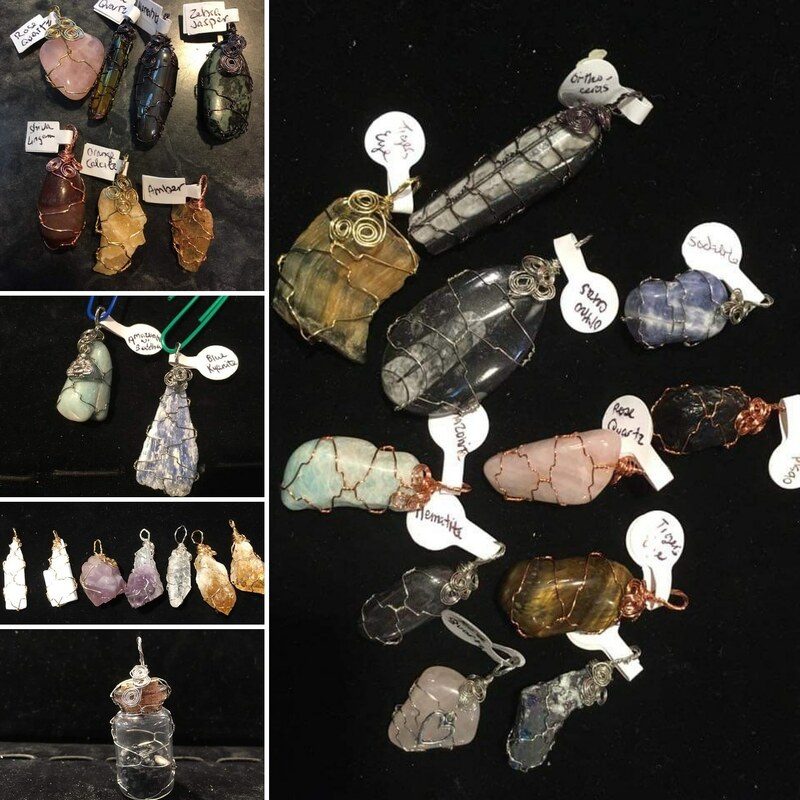 Brand new #wirewrapped pendants at #desmoinesnewageshop !!!! 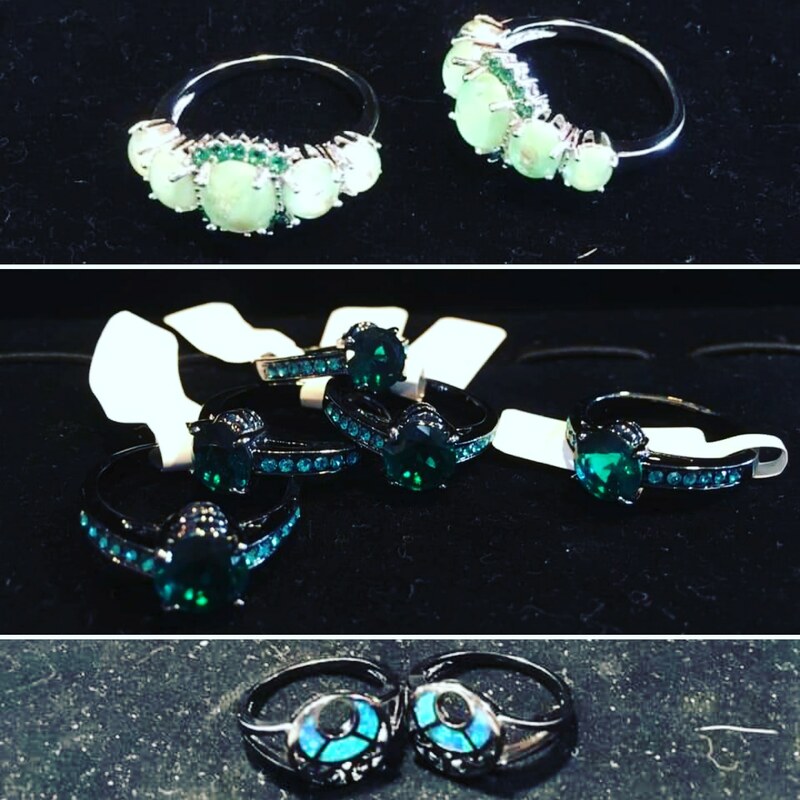 We have some gorgeous pieces in!! !